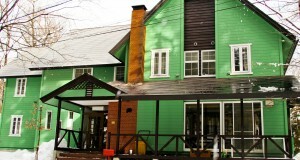 We’ve got all the essentials of a great place to stay; great location, friendly and laid-back atmosphere, knowledgeable staff, and comfortable well-equipped rooms. 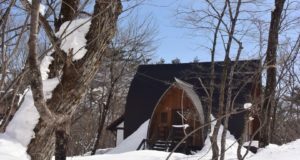 With Happo’s main gondola less than a 5 minute walk and one of the main shuttle bus hubs right outside our front door, you’ve got easy access to all the resorts in the Hakuba valley! 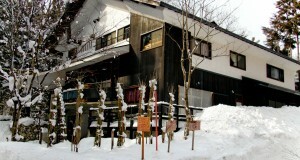 There are also plenty of restaurants, bars and all-important onsens nearby. 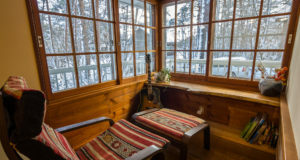 We’ve got all the essentials of a great place to stay; great location, friendly and laid-back atmosphere, knowledgeable staff, and comfortable well-equipped rooms. 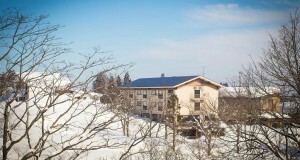 With Happo’s main gondola less than a 5 minute walk and one of the main shuttle bus hubs right outside our front door, you’ve got easy access to all the resorts in the Hakuba valley! 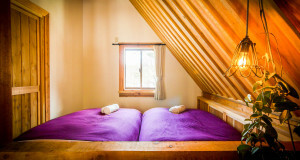 Morino Lodge’s new little brother, Wadano Lodge is a great option for those of you on a bit of a budget who still want the comfort of clean en suite rooms, along with the convenience of being in a great location. 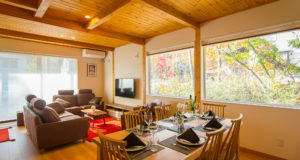 For those of you looking for true Japanese style accommodation in a great location, Sekkasai Lodge is an excellent option. 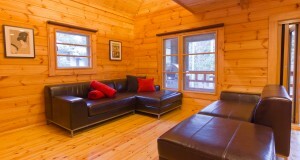 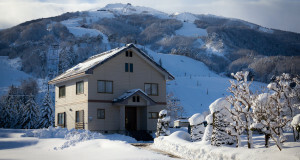 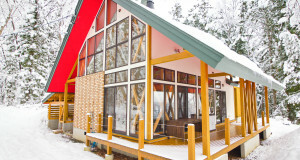 Run by long term Hakuba residents, the Morishita family, the atmosphere is warm and friendly. 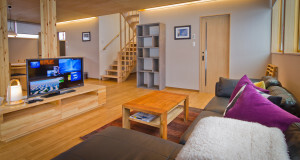 We`re very pleased to introduce Alps View Chalet, the latest addition to our elite range of self-contained rental homes in Hakuba Japan. 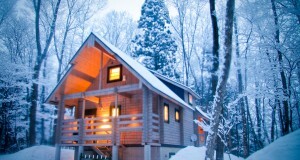 One Hakuba is a 2 year old Finnish style log cabin that`s a perfect blend of style & warmth providing an ideal base for your mountain getaway. 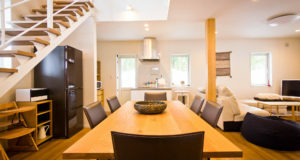 With 3 bedrooms sleeping up to 8 people comfortably, it’s a great place for one or two families or for big groups of friends. 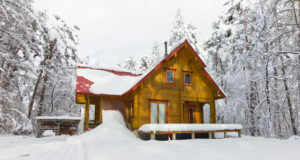 The concept of the Morino Chalets is to provide self-contained deluxe accommodation in the beautiful forest surrounding Morino Lodge. 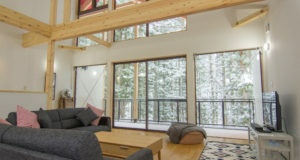 This way not only are you in a great location but you`ve got all the freedom of your own place, along with the convenience of having the Morino Lodge crew a stone`s throw away. 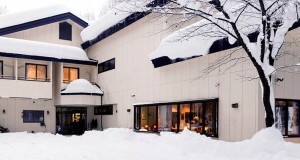 We`re right next door to help you with whatever you need to make the most of your stay in Hakuba.